When smog enveloped London in January, nursery manager Emma Spinelli decided it was time to keep the children indoors. Air stagnated in sub-zero temperatures, unable to disperse fumes from traffic and wood burners. Pollution levels rocketed across the country, in some places to levels almost three times those recommended by the World Health Organisation. 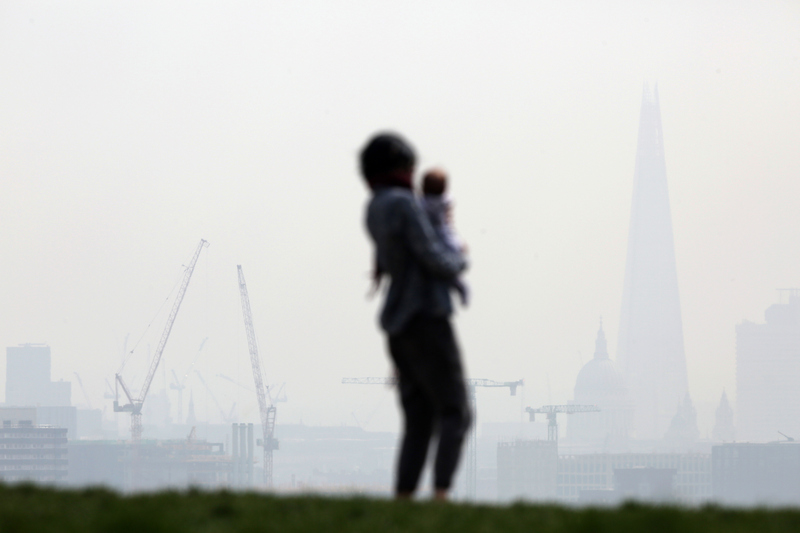 On one day in London, the air was more toxic than in Beijing. As an asthmatic, Emma Spinelli felt the difference. “I don’t know much about air pollution but I do feel it myself. There are times when I have found it hard to breathe when I’m walking around,” she says. Spinelli runs a nursery at the Round Chapel, a nineteenth century Grade 2 listed church in East London. From Monday to Friday, toddlers come here to learn, play and sing. Less than 50m away is Lower Clapton Road, where the concentration of nitrogen dioxide (NO2) is so high, it is breaking the law. Tanis Taylor brings her 10-month-old daughter to a playgroup in the same building. The Round Chapel nursery and playgroup is one among many. More than 1,000 nurseries in England and Wales sit within 150m of a road that is breaching legal limits for NO2, according to an Unearthed investigation published on Tuesday. An additional 1,078 schools, colleges, creches, and other education or childcare providers are in the same position. In London, more than 20 nurseries are close to roads where the NO2 concentration is more than double the legal limit. But as Chris Griffiths, co-director of the Asthma UK Centre for Applied Research, points out, the issue has spread far beyond London. In Birmingham, St George’s Church of England Primary School sits within 150m of one of the main roads off the Five Ways Roundabout, a bottleneck of traffic on the edge of the city centre. The school brings together children from wealthy Edgbaston, home to financial executives and affluent older people, with those in neighbouring Ladywood, an area of high deprivation. Headteacher Shirley Atkar would like to see air quality improve in the area, but feels there is little she can do to tackle the problem. “Everybody would want to reduce the pollution for the children and employees at the school – but other than school travel plans to reduce traffic around the school and encouraging children to walk to school, take public transport and ride on bikes instead of using cars – I don’t see how much power I have as a headteacher. Councils, governments, politicians have the power to change things,” she says. But many people in affected areas seem to be unaware of the extent of the issue. Davina, who declined to use her full name, is a mother who lives in Ladywood and sends her son to another local primary school. Other parents are more familiar with the issue. Mother-of-two Liz Clay is an early year’s practitioner at the Wood School at Paupers Wood, based in a community in South Manchester bordered by the Princess Road, which is estimated to have average NO2 levels well above the legal limit. “I’m deeply concerned about air pollution,” she says. She is right – scientists are becoming increasingly confident about the evidence on the detrimental effect of air pollution on young children. “The literature on the impacts of air pollution and the respiratory health and development of young children is well established and it would be unwise to ignore it,” says Dr Ian Mudway, a respiratory health expert at King’s College London. According to a 2016 report by the Royal College of Physicians, children living in heavily polluted areas have more coughs and wheezes and are more likely to have impaired lung function in adulthood. Exposure at a young age may also affect mental development and increase the risk of developing lung cancer in later life, it says. A recent study of 11,000 children in the US concluded that children living within 500m of a busy road had increased suppression of lung growth compared to peers living more than 1,500m from such roads. It also found that children exposed to high concentrations of NO2 were more likely to develop asthma. “Young children are far more susceptible to pollution than adults, due to their immature and developing systems and lower body weight,” says Dr Prashant Kumar, an air pollution expert at Surrey University. Analysis: What does the air pollution plan mean? As the evidence accumulates, the government is coming under increasing pressure to tackle the issue head-on. This month it will publish the draft of its new national air quality plan, after the High Court threw out its previous plan last November, deeming it so inadequate as to be illegal. Birmingham and London were among the six cities included in the original plan, which mooted the introduction of clean air zones to restrict and charge older lorries, taxis and coaches. It’s expected the new plan could extend charges to diesel cars and incorporate up to 35 towns and cities. But will the measures be effective – and adequate to protect children from toxic air? Griffiths is worried they could have knock-on effects elsewhere. I don’t want to have to protect her against the environment, I want the environment to safeguard her as much as possible. As Clay points out, convincing consumers could prove to be a challenge. “I think the government need to regulate the car industry, particularly in relation to diesel cars. Ideally they need to do that without punishing the consumer, and they need to do it quickly,” she says. Mudway believes the transformation should extend to planning procedures too. Kumar agrees that government action is needed and suggests that schools could “deploy appropriate measures such as hedges or walls”. He also has some advice for parents – last month he published a study recommending that parents should use pram covers to protect young children from the impacts of air pollution during the school run. But Taylor feels largely powerless – and is reluctant to shield her daughter from the air. “I’m in a kind of denial. I’m not engaging with it properly. Other things I can do things about – recycling or go on a march – but I do feel quite powerless about this (air pollution). We can’t practically do much at home”. “I want my child to be in nature, in the elements, I don’t want to molly coddle her and wrap her up. I don’t want her to have to wear a mask. I don’t want to have to protect her against the environment, I want the environment to safeguard her as much as possible.